VA few months ago, I had my first experience with a virtual reality headset when a friend and I played his VR NBA 2k basketball game. It was a fun experience, but I must admit that I prefer the real game over the virtual alternative. I prefer to find a court and play real basketball with real people. Especially on a sunny Spring day like today. To create an analogy, let’s say that “real basketball” is similar to the physical crude oil market. Oil producers, refinery consumers and large oil traders are the key players in this game. Each of these parties will have physical storage and transportation assets in order to secure a profit margin. The virtual oil game is also played by these same parties, but it also includes speculators of all kinds. You may or may not realize that the virtual oil market is many times larger than the “real” oil market. In the NYMEX market for West Texas Intermediate alone, the daily trading volume is SIXTY-FIVE TIMES the U.S. annual demand for petroleum products. This is figure is derived from the table below. This is just data from one (albeit the largest) exchange for WTI crude oil. There are other exchanges, other products and many different kinds of virtual volumes, including over-the-counter oil contracts. It is safe to say that the total virtual oil market is easily 100 times greater than the physical oil market. Like most MBAs, I have been trained as an economic fundamentalist. Every commodity has a supply curve and a demand curve, and where the curves intersect becomes the market clearing price for the commodity, as shown below. When the physical supply of oil increases, this shifts the supply curve to the right, lowering the market clearing price. 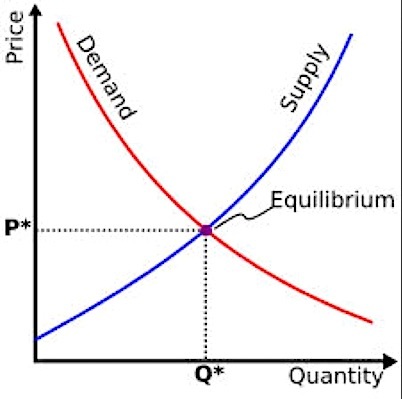 When the demand for oil increases, the demand curve shifts to the right, which raises the equilibrium price. 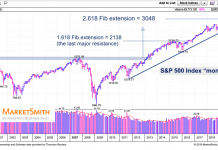 This view of course will result in a lot of attention being paid to supply and demand numbers, and in particular the weekly releases from governments and trade associations. Supply and demand still set price, but I propose that it is the supply and demand of virtualoil contracts that is the relevant idea, not the physical supply and demand for them. 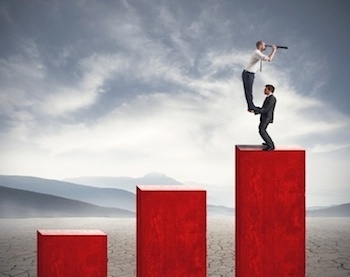 Each day, an army of machines trade oil and other products based upon news headlines, trend-following and other programs. The accumulation of this order flow sets the price. Of course, the algorithms can be influenced by physical supply and demand reports, but ultimately it is the trading of virtual contracts that sets the price, not physical supply and demand itself. 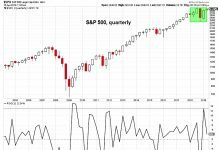 The Price Magnet Report a tool that I created to help retail investors navigate these virtual markets. This tool evaluates order flow and open interest in the options markets to calculate expected mean-reversion in and around the option expiration date. A recent graph of the crude oil Price Magnet is shown below. To enhance our thesis, we also will point out that Bloomberg published an article in November entitled Two Words That Sent The Oil Market Plunging: Negative Gamma. 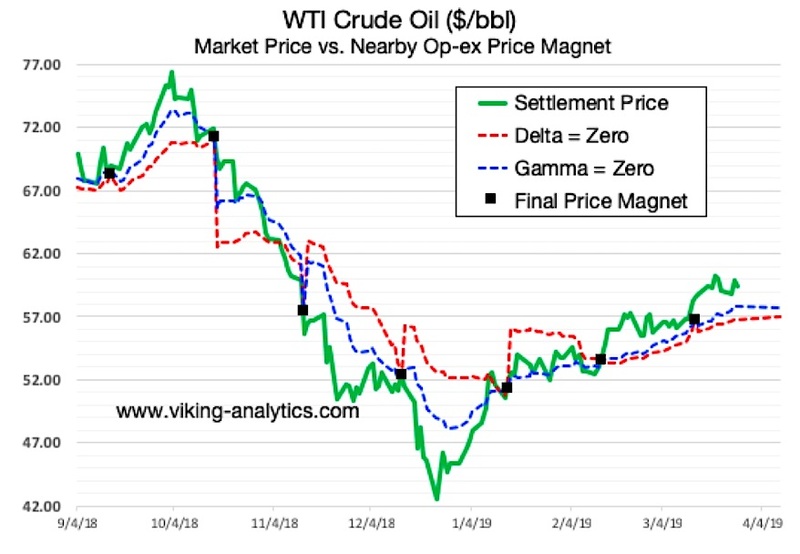 To summarize, Bloomberg suggests that the oil market gamma (shown by the blue line above) was a leading cause of the recent decline in oil prices from the high $70s to the low $40s. We look forward to any comments or feedback below.